Nothing improves the appearance of an older home quite like new windows or doors. Whether you’re planning to sell your house or just want to spruce up the place, you can be confident that you will be improving the appearance and value of your home and the neighborhood with your new windows or doors. In addition to making your house look better, replacing your old windows can improve your home’s energy efficiency and reduce your heating and cooling costs. Much energy is lost by single-paned windows through the glass and through air leaks around loose-fitting components. Just run the back of your hand around a window on a cold and windy day. If you can feel cool air movement, your home is losing heat. Now is the time to upgrade with new replacement windows. K.P. LaMarco & Associates can install energy-efficient replacement windows that will lower your winter heating and summer cooling bills, saving you thousands of dollars over the years. 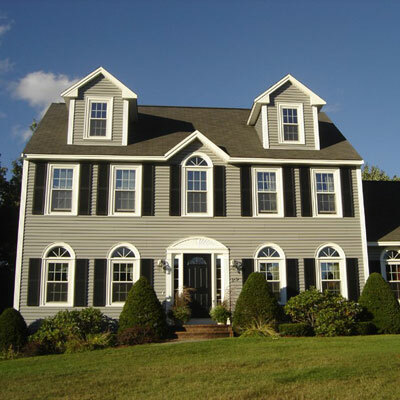 Contact us today at (203) 415-6773 to learn more about your energy-efficient replacement window options.